I’m no palm reader, but chances are, right now, you are thinking about football. Or maybe you thought about football yesterday. But the chances are even better, since reading these words, you are now thinking about football. I think about football a lot, especially University of Alabama football. I like to think back on the early days of UA football and our local connections. 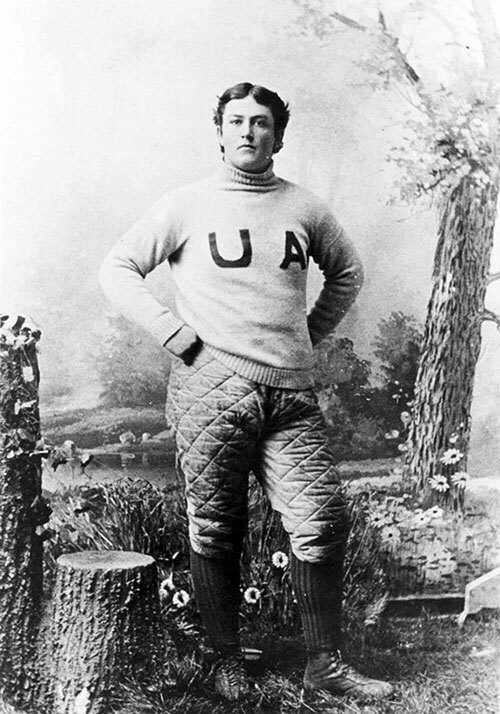 In 1892, after learning the game up North, law student William G. Little brought the game to UA and formed a team. A member of that very first team was William B. Bankhead of Lamar County. Bankhead was born near present-day Sulligent and later became a United States Senator. He is the man for whom the Bankhead National Forest is named. Another connection to early Alabama football is the Pearce family. The Pearces lived out in eastern Marion County on the Buttahatchee River at a place called Pearce’s Mills.